I’m not going to lie, I love to people watch…there’s so much inspiration in front of us, walking right by. I’ve gotten so many creative ideas for outfits, hairstyles, and having unique style, just by observing other people. That’s one of the reasons I was so excited to visit England a couple weeks ago–how fascinating to have a front-row seat to the fashion sense of a foreign country! It was such a blessing to bring my daughter to England to pursue a master’s degree at the University of Sheffield and also spend a week seeing the country. While we traveled I noticed three style trends in the UK that were everywhere we went. These trends are also in the US, but not to the same degree. 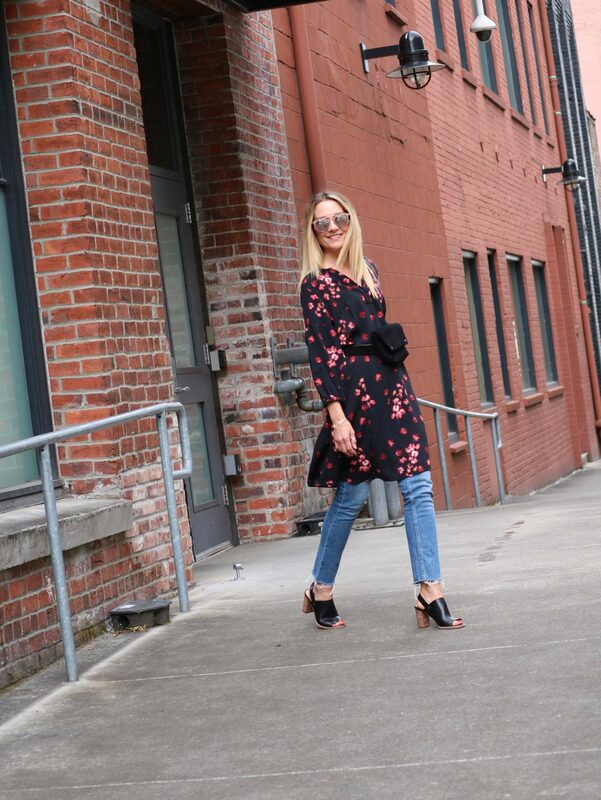 Seeing how these trends expressed the culture of this amazing place made me want to bring these looks back with me…sort of my own personal fashion souvenir! The most dominant trend in England is stripes. It really is almost the national uniform! Here in the US, we’ve seen a resurgence of vertical and wider stripes, and that’s also there, but what I’m talking about is the traditional, boat-neck horizontal striped top. It’s in every store, on every age, and epitomizes the English woman. Many years ago I loved striped tops and wore them so often, my friend’s daughter pointed out a mannequin wearing a striped top and said, “That looks like Julie!” I realized I didn’t want to be defined by one style, so stopped wearing stripes immediately and haven’t worn them since! A little extreme lol. But being in England made me fall in love with them all over again. I love the classic and elegant feel it brings to my look. I found this amazing and authentically English top at the last minute during our stay in Bath. It’s been fun to realize how versatile it is now that I have it in my closet! I loved the femininity displayed in UK fashion. I observed skirts and dresses, both long and short, in abundance and loved how they were worn casually with sneakers and flats. But it was the sea of florals that really caught my eye. The quintessential English floral typically seems to be smaller and on a dark or colorful background. I unsuccessfully tried to find a classic floral piece as a memento of our trip and had to leave empty-handed. So instead, I went on a mission once I got home to find a way to express this look in my own style. The floral styles in England are classic and sweet, but the trend here is bigger, bolder, and more modern. 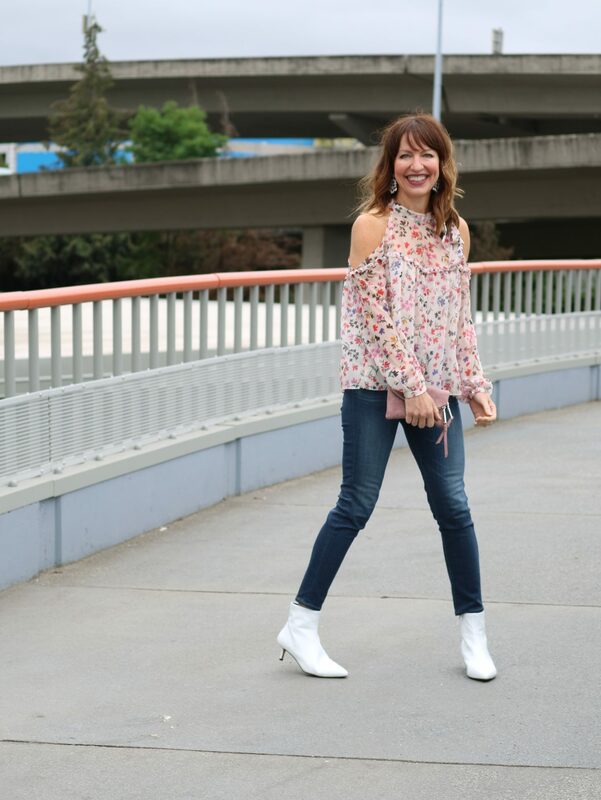 I like to add a little edge to my outfits, so pairing a feminine dress over jeans or wearing with modern white boots brings the vibe I’m looking for. Plaid is an emerging trend here and overseas, but I had yet to find anything I liked in stores. It wasn’t until I saw a chic English girl in the supermarket aisle wearing a head-turning plaid pants outfit that I got excited about putting a plaid look together. The formula that caught my eye was simple: cropped wider leg plaid pants + solid black leather jacket + black heeled booties. So simple but SO cool. I seriously stalked her down the aisle to get a closer look! It was a look I knew I could replicate back here in the states. You can bet it’s on order and being shipped to my house this very moment! I left England totally inspired to try these UK trends. What looks have you been inspired by on recent travels? Love all the UK trends!!! Thank you for sharing these. Thanks Ja’Net for reading! I always love seeing what people in different parts of the country are wearing, so it was even more exciting to visit a foreign country for inspiration.